TPT Support Team will monitor for Manupilated(Fake) Medals. Appropriate Action would be taken against such players. Top Three Players Achieving Maximum Medals will win upto 5000* cash prize. Winners must have completed the enrollment form. 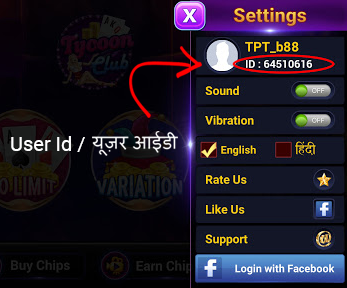 Teen Patti Tycoon Contest timelines would be from 1st Nov Till 11th Nov 2018. Minimum 50 games should be played from 1st Nov Till 11th Nov 2018 to be eligible for Tycoon Club Contests.